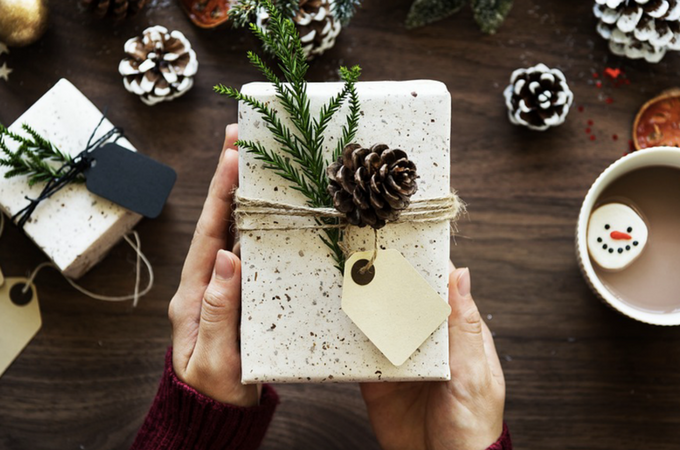 Thanks for making this the place to start your quest in making this holiday season all about supporting small businesses. These ladies are all great ones to follow on Instagram, too. 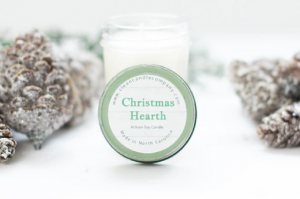 I know you’re going to find lots of things that are the perfect fit for your Christmas shopping list! Little Saint Southwest. 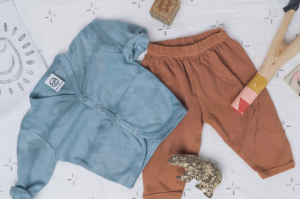 Sarah Simmons makes her adorable line of baby clothes from organic, clean cotton. Her unique patterns and designs are inspired by stories of the dessert that her grandmother would tell her as a girl. 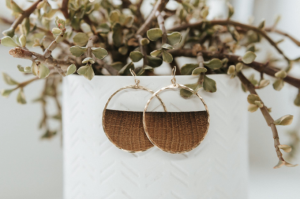 She aims to weave joy, whimsy, and style into all of the pieces she creates, and I’d say she’s doing a great job of that. Dillybands. Who doesn’t love to get a personalized gift? 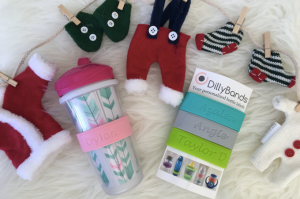 Desiree and Dylan have created customizable stretchy bands to fit around your kids sippy-cup or water bottle with their name on it! They’d be great for your coffee mug at work, too. And how cute would it be to make these as party favors for a kids birthday party? Little Handfuls Organic. 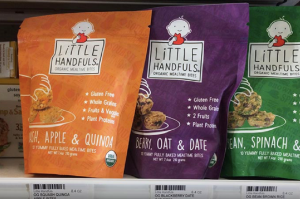 Darcy and Dustin Kochis created their business, Little Handfuls Organic, to help busy parents save time while still feeding their kids healthy food. Inspired by baby led weaning, Little Handfuls are fully baked and flash frozen meal time bites in 3 different varieties. These might not seem like the typical item to show up on a gift guide, but they’re actually the PERFECT gift! Think about it.. 1.) Toddlers often get LOTS of gifts during the holidays from family, grandparents, friends, etc. 2.) They don’t care about/remember half of the gifts they received. 3.) Feeding a toddler is a daily struggle, let me tell you.. 4.) 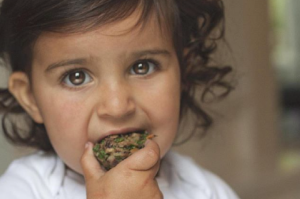 You’d be providing quick, easy, delicious, healthy food for a toddler, thus taking a HUGE load off of their parents. If Santa dropped a few bags of quick, healthy, whole foods for my kiddo in the freezer, I’d be doing a little happy dance. Splash Pants. Before I met Susan Gold, I had no idea a product like this existed on the market. How many times have you taken your kid to the pool, beach, splash pad, etc., with a high likelihood of getting wet, but not necessarily wanted to run around in your swimsuit? Susan has created capri-style pants that are made of material that can get wet, and dries quickly! They’re dual purpose though, because you could wear them to run errands or go to the gym, too! Susan was recently featured in The Caffeinated Mom Club’s small business interview series, which you can find here! Beeing Kind. 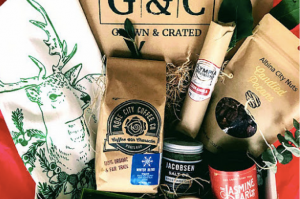 The perfect gift for someone who loves food and likes to try new things. 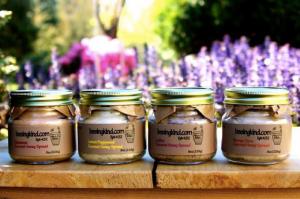 Angela and Christy make these delicious, all-natural, unrefined coconut oil and raw honey spreads. (They’ve also previously been featured in our small business series.) 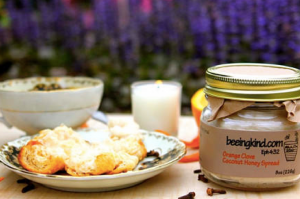 In flavors like lemon poppyseed, cinnamon, coffee, and orange clove, the possibilities are endless. I’m thinking a waffle with some cinnamon spread sounds pretty good right about now..
Woodline Crafting. 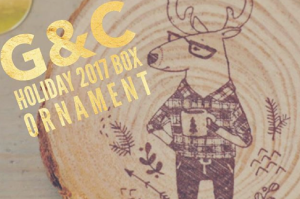 Cristen Cottrell does an incredible job with wood burning, painting, and hand lettering the items in her shop, but I think my favorites have to be the wood burned. 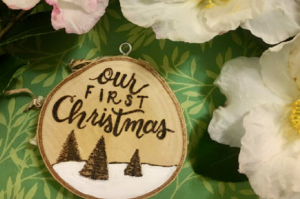 How sweet would a really personal, wood burned Christmas ornament be as a gift? 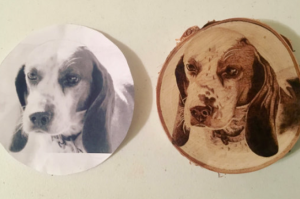 And for the friend that has a pet they adore, I can’t think of a more thoughtful gift than her wood burned pet portraits! I mean, look at it!! 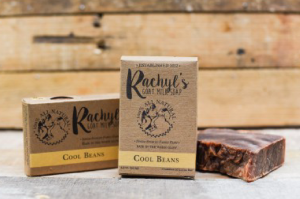 Rachyl’s Goat Milk Soap. 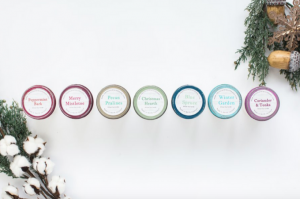 Made from fresh goats milk from the Travis Family Farm in Rhode Island, Rachyl’s Goat Milk Soap is a fabulous line of all-natural, organic soaps, body butters, lip balms, and more. 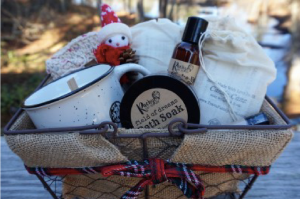 Right now they have holiday gift sets that I know anyone would be thrilled to receive this Christmas! 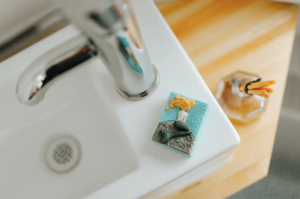 (I have a bar of their soap in my shower right now and it’s amazing..) You can find Jaklyn’s previous small business interview here. If you’re looking for more gift ideas for this holiday season, make sure you check out 8 Unique-Must Have Baby & Toddler Items. It’s a list of the things that my husband and I can’t live without now that we have two little ones at home, and many of these things we didn’t even know were a “thing” before having kids! And if you know anyone that recently had a baby, better read this post, Perfect Gift Ideas for a New Mom, before you head over to meet the new baby. P.S. If you haven’t already, don’t forget to follow The Caffeinated Mom Club on Instagram, Facebook, & Pinterest!